Your friend will love this very special friendship keepsake. It will be the gift they will cherish and display always. 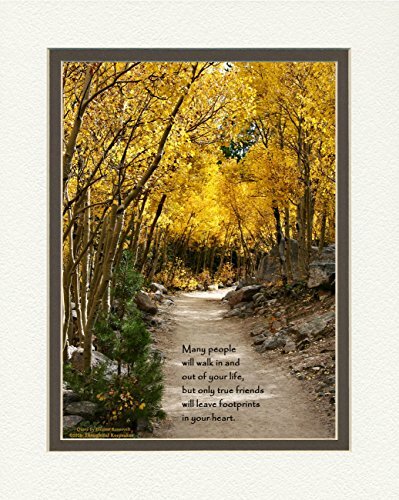 This beautiful photo of a lovely serene path surrounded by aspen trees includes the quote by Eleanor Roosevelt: Many people will walk in and out of your life, but only true friends will leave footprints in your heart. This gift celebrates not only the special occasion but more important the unique individual. If you have any questions about this product by Friend Gifts, contact us by completing and submitting the form below. If you are looking for a specif part number, please include it with your message.